No one knows where Magoo came from or what her story is - but it's clear the 1-year-old Shar-Pei mix hasn't had an easy time. 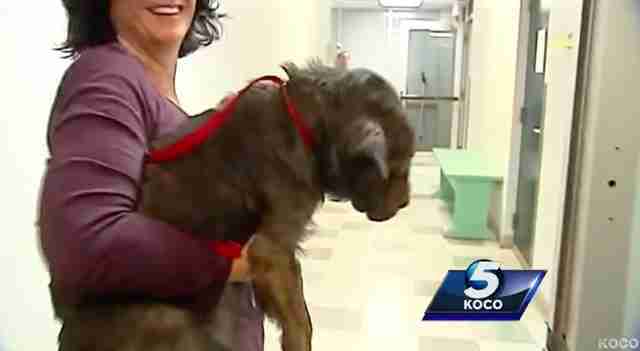 Magoo was found by staff members of Oklahoma City Animal Welfare on Friday morning. She was dumped in the shelter's lobby overnight, left alone and infested with fleas, with no note or explanation. When shelter staff came closer, they made another startling discovery - Magoo had no eyes. Because Magoo was abandoned at the shelter in the middle of the night, veterinarians aren't sure how Magoo lost her eyes. 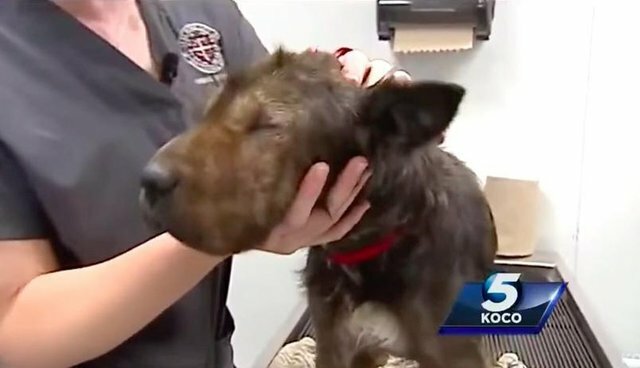 "When you just leave an animal without giving us any information or any history, it's really difficult for us to even have a starting place," Julie Bank, animal welfare superintendent for Oklahoma City, told local news outlet KOCO. But Magoo seems relatively comfortable getting around with no vision - although she does bump into things occasionally and needs to be picked up and carried. 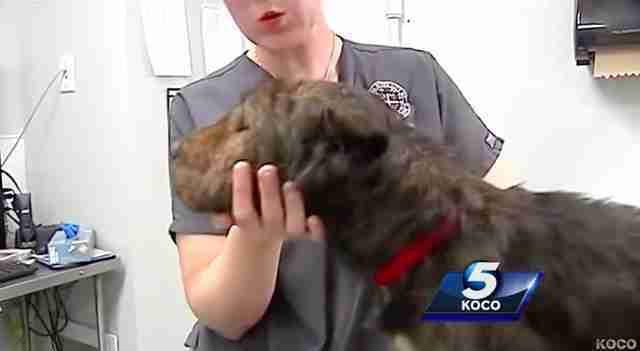 "She acts like she's had no vision for quite some time," Dr. Allison Halley, shelter staff veterinarian, told KOCO. "She's adjusted pretty well and she can hear very, very well." After it became clear no owner was coming for Magoo, and after a much-needed flea treatment, Magoo went to her foster home last week. A happy update on the shelter's Facebook page read, "She is doing great and hopefully she will be ready for her new home soon." Her story clearly struck a chord with many - offers to adopt Magoo have been flooding in from across the country. Magoo's past may remain a mystery, but her future seems bright.